It all started with a vision, and then a search for a location that fit the vision. Then came creation of the space and business that has now become Hillside Events. 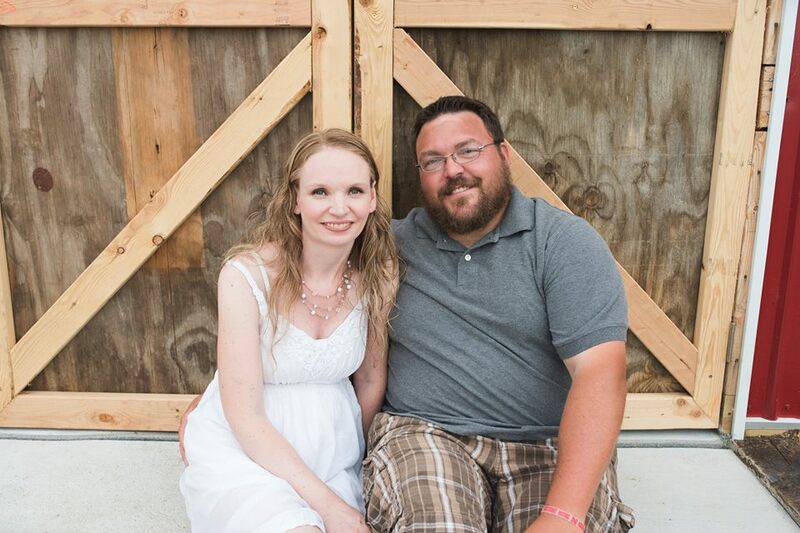 Hillside Events is owned and operated by Tyler and Melissa Smith. The vision started with their own wedding. They were having a really hard time finding an event center that would meet their budget, needs, and vision for their wedding. So after they were married they decided to start looking for a location for the perfect wedding venue. Hillside Events is located on 22 acres near Denton, NE. Tyler and Melissa sold their house in Lincoln and began their dream. They bought the land, house, and horse barn in November of 2015. They moved in with their 5 foster children and began their creation of Hillside Events. The existing barn was put up by the previous owners who intended to use it as a horse barn, the barn was never used because the previous owners took a job out of state and sold the property before the barn was ever used. The barn was originally set up for 5 horse stalls, with a front lean to covering the stalls. Tyler and Melissa removed the horse stalls, expanded the barn by enclosing the front lean to, and doing an addition to the rear of the barn. They poured a concrete floor and patio in the back of the barn, they also added electricity and plumbing. They put in a crushed rock parking lot and did landscaping around the building. They have much more on the wish list, moving forward with their dream as time and money allows. Tyler works full time as a concrete foreman. Melissa is the owner of Solutions by S & S, a cleaning and organizing company. Together they raise 4 children. The oldest 3 children were adopted through foster care.